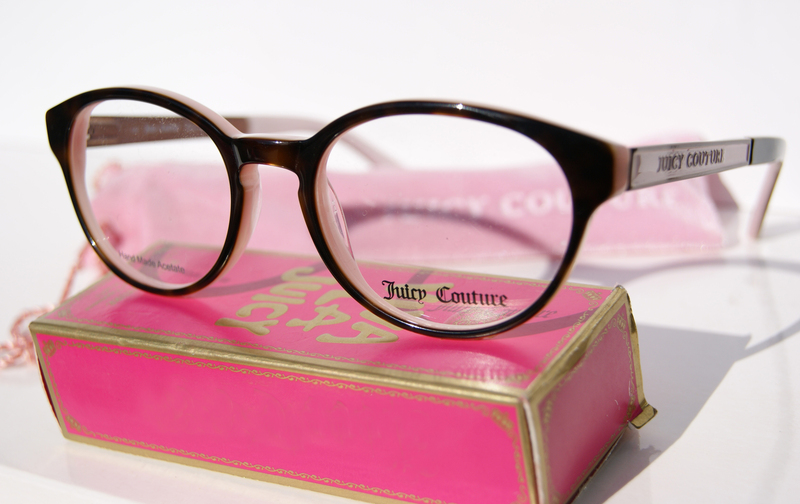 Our line of Juicy Couture eyewear has become increasingly popular amongst young women. 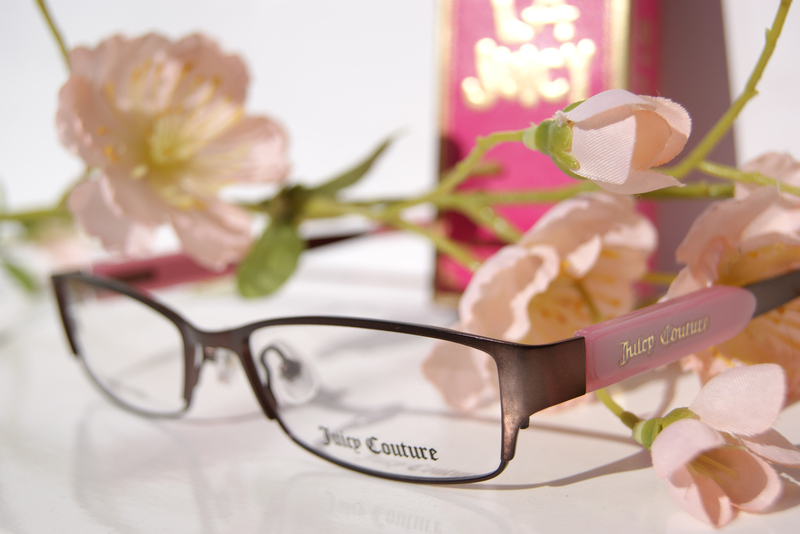 The girly designs are youthful, chic and fun. 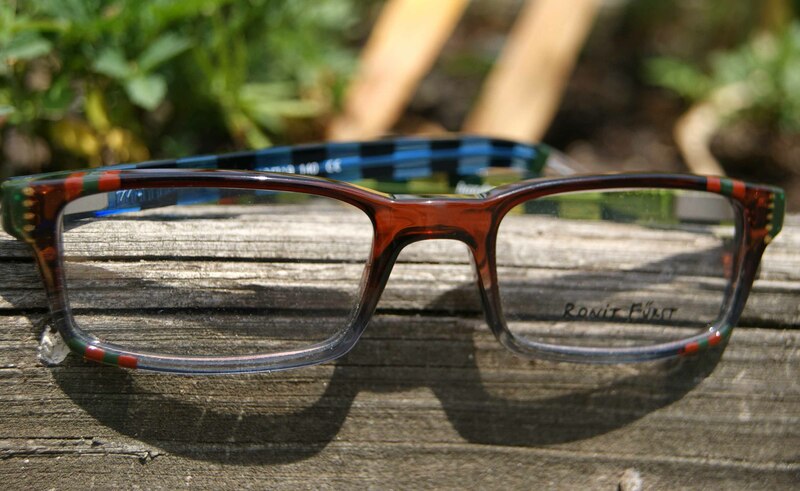 There’s no real uniform style here, except unabashedly female. 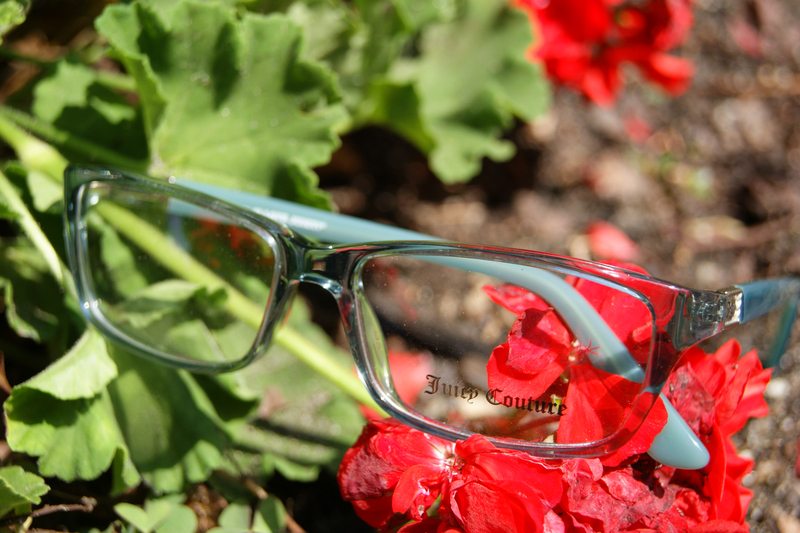 Whether you’re looking for plastic or wire, nosepads or not, bright colors or traditional hues, Juicy has something for everyone. 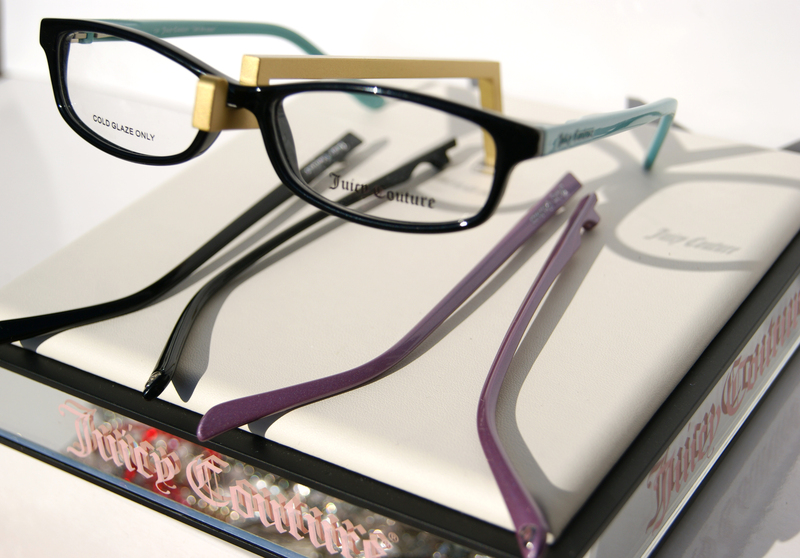 Juicy Couture has officially mastered the art of what every girl wants: OPTIONS. 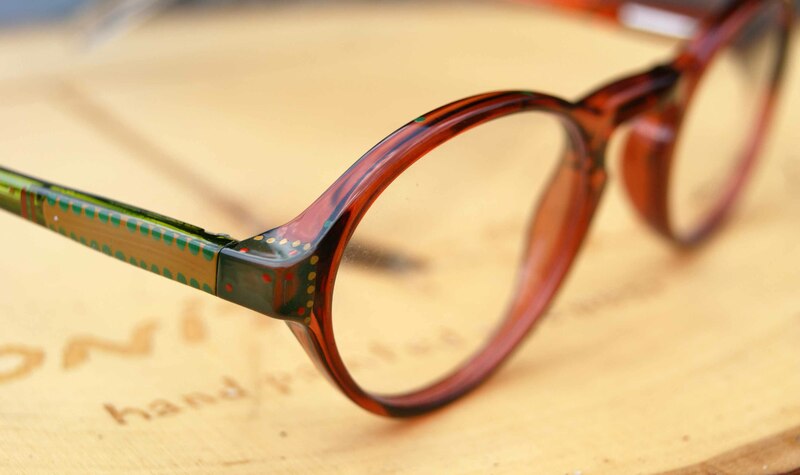 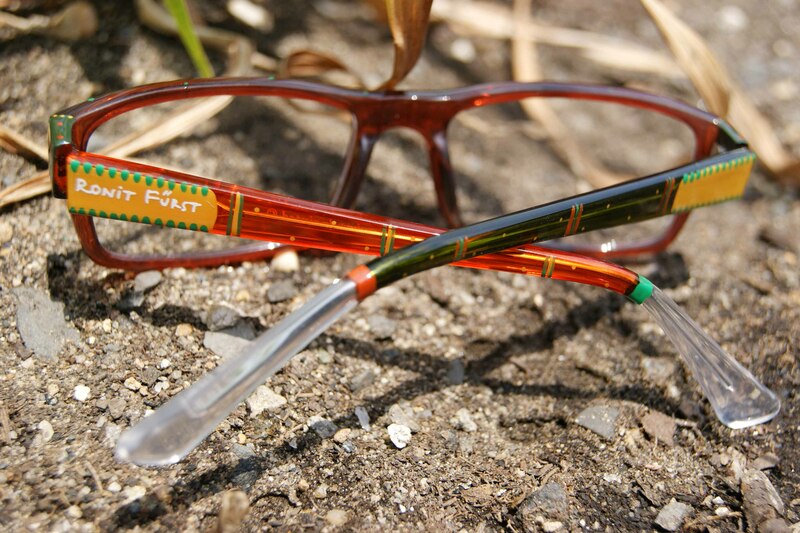 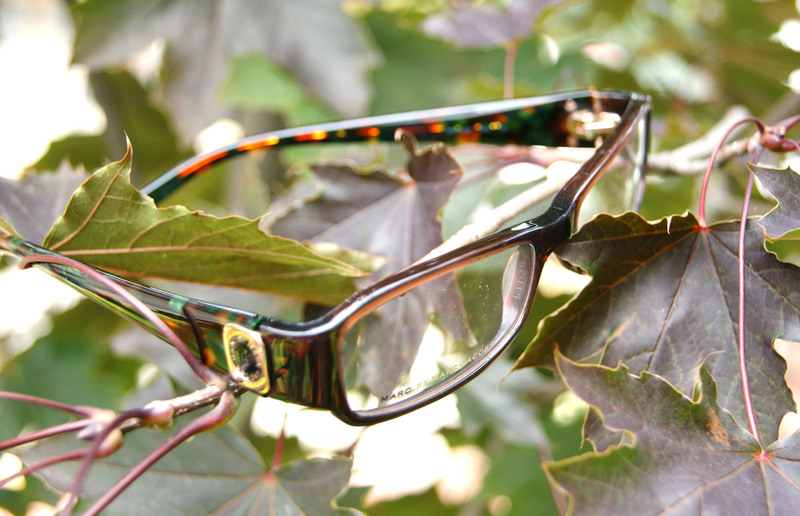 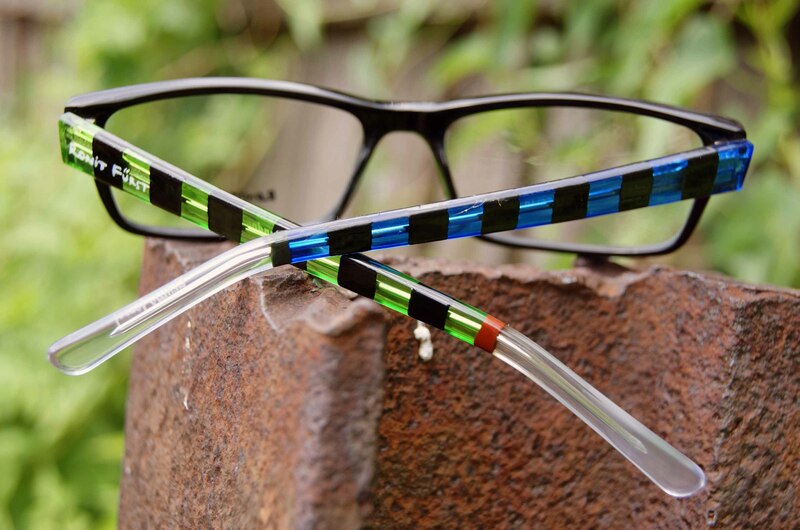 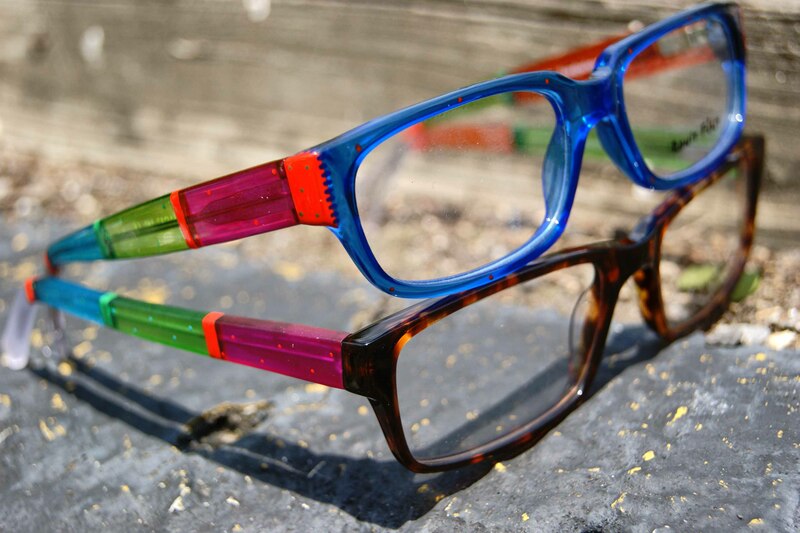 Be sure to check out the pair that comes in 3 easily changeable temple colors – so you can match every outfit you own! 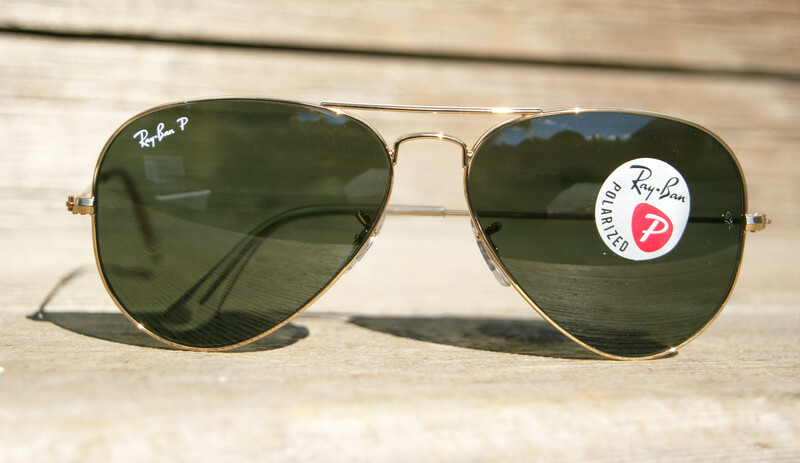 Logo plate is reversible – turn around to reveal pink logo, see above! 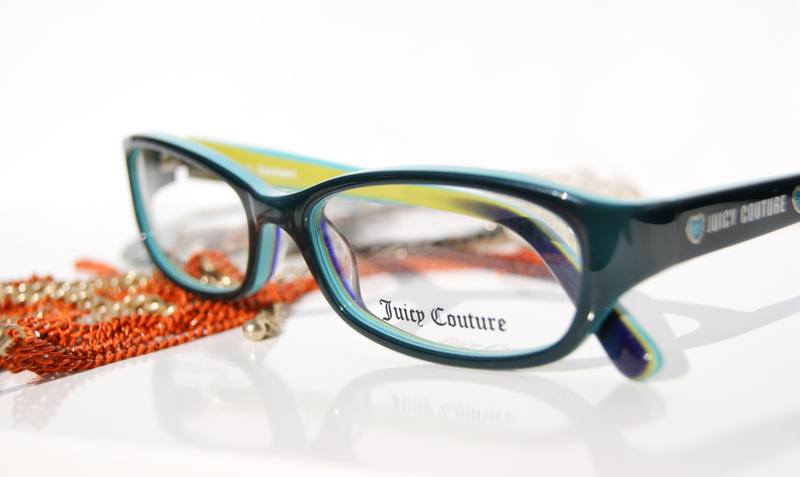 This frame comes with all 3 leg sets, teal, black and lilac – easily pop out and switch leg colors. 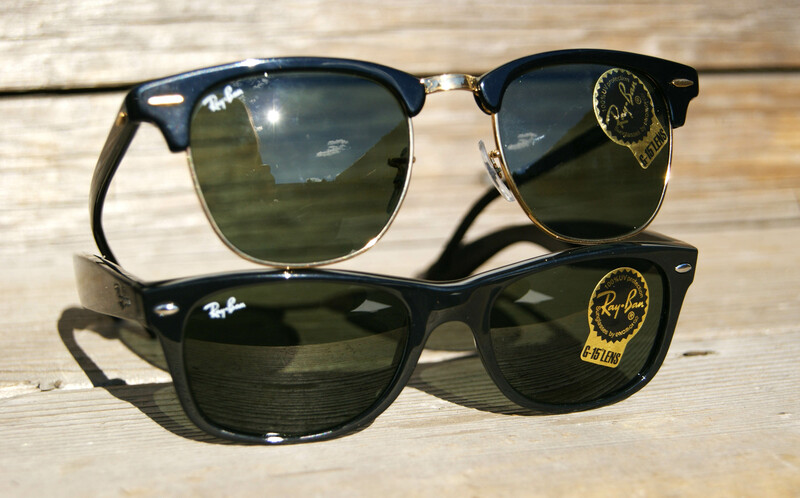 Match every outfit! 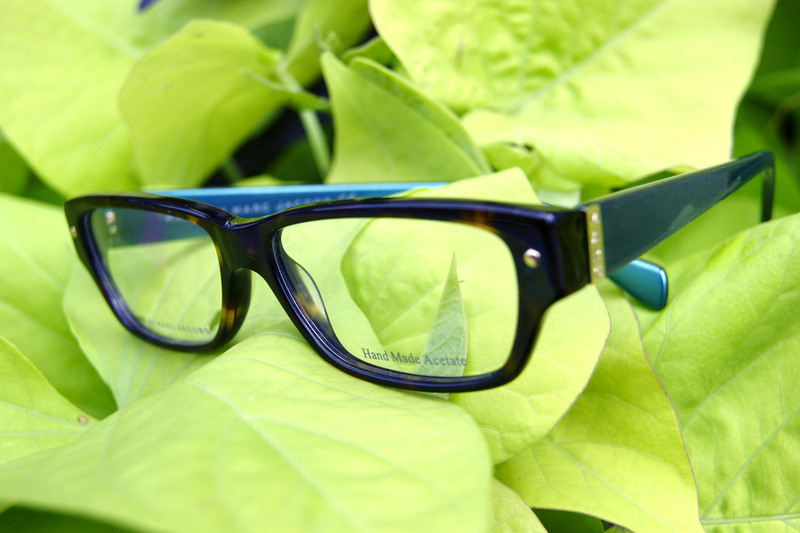 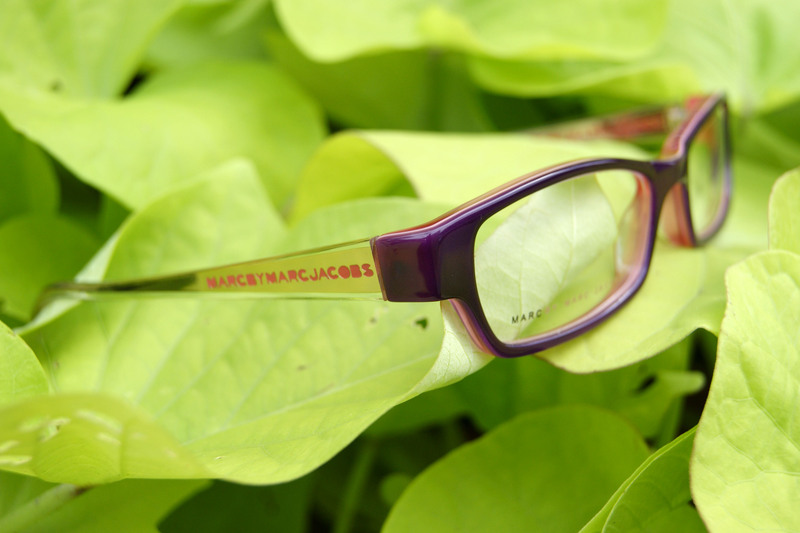 We just got in a half dozen new Marc by Marc Jacobs frames. 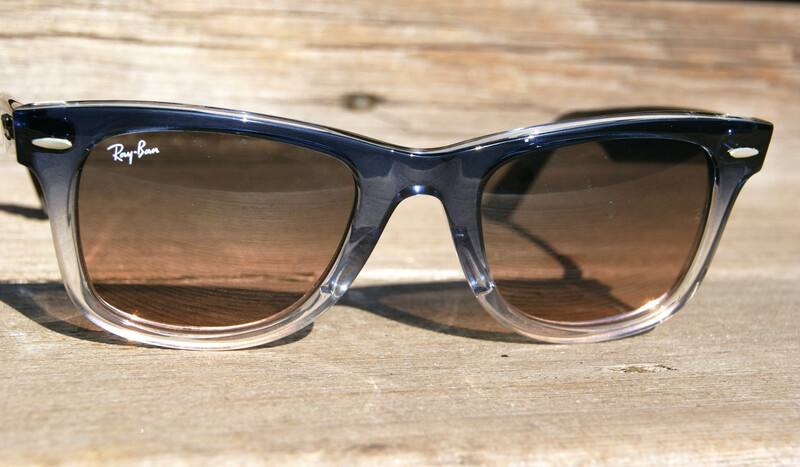 The style continues to be fancy legs with standard fronts. 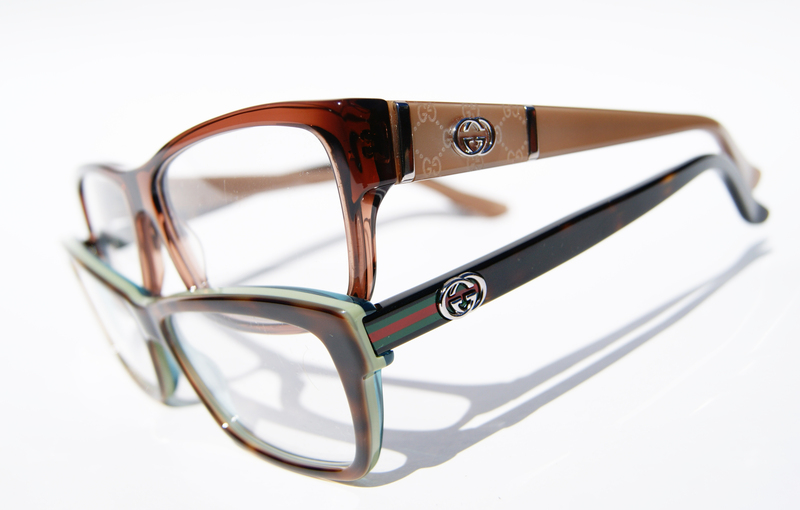 The key to this method is keeping the front more generic, allowing the frames to be complimentary to many face shapes. 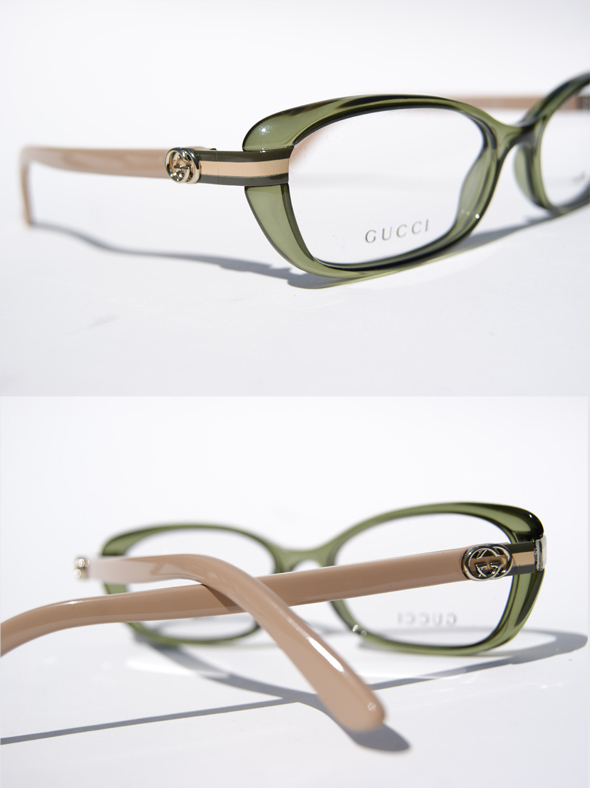 The sides, however, are a completely different story. 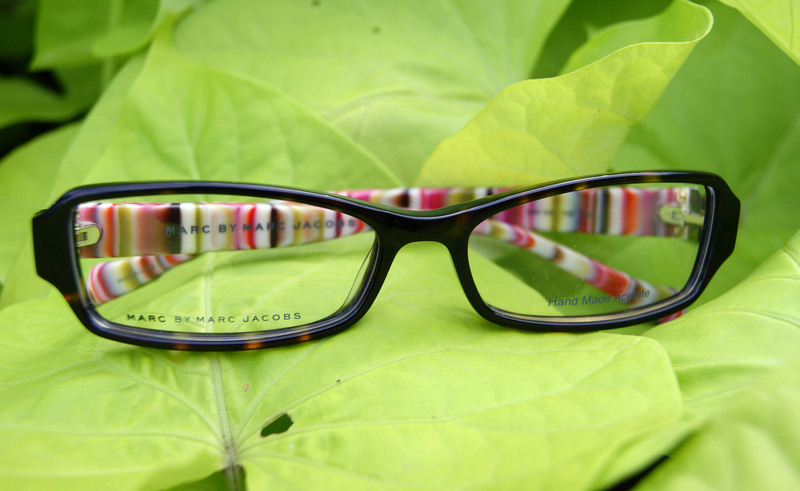 As seen below, the styles can vary from shiny platinum to lipstick marks to colorful stripes. 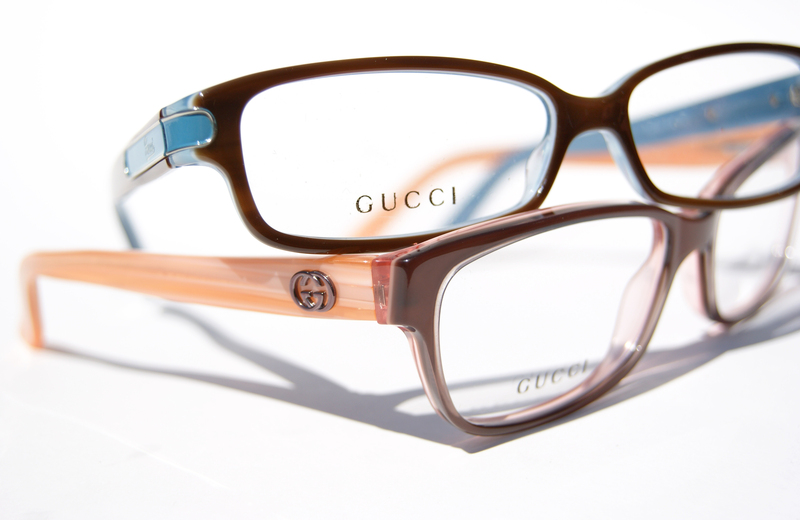 There’s definitely something for every personal style, find your niche below. 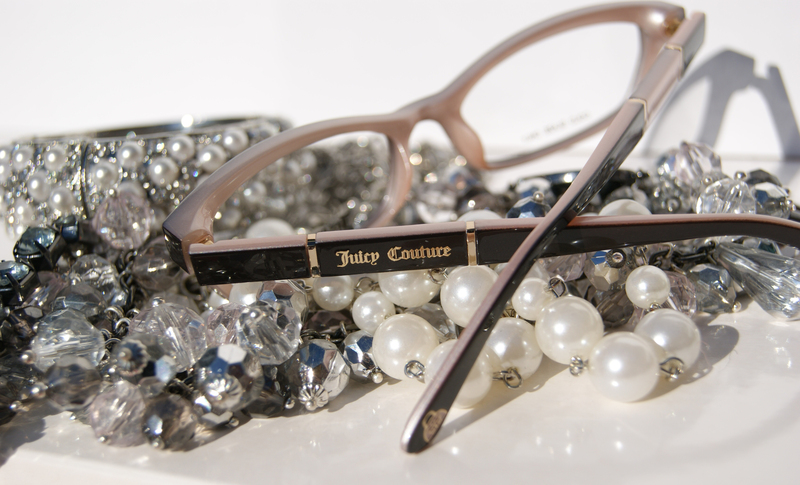 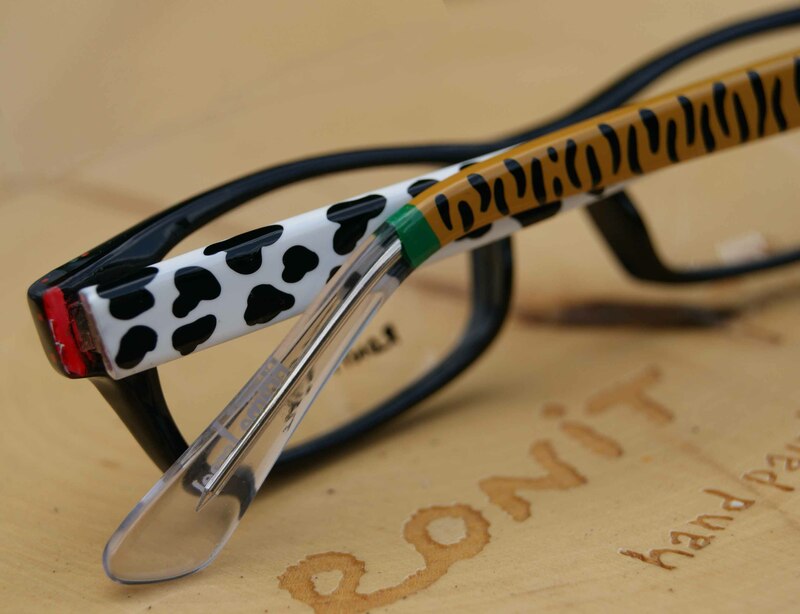 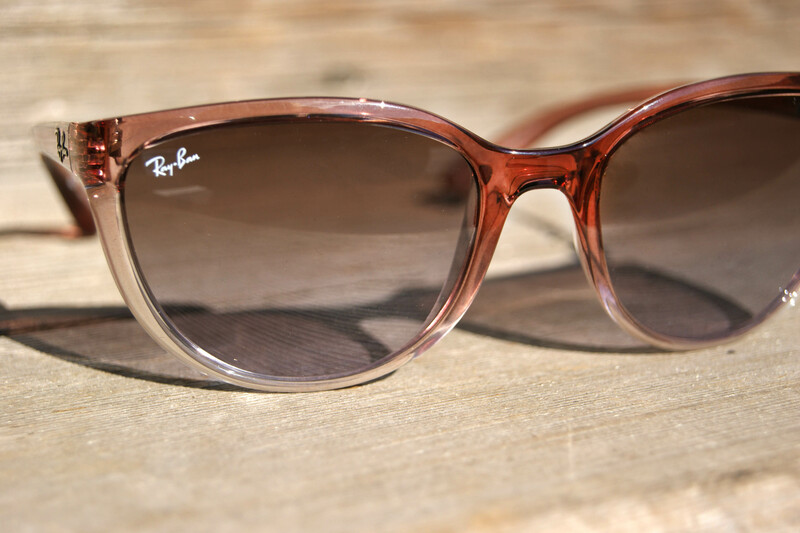 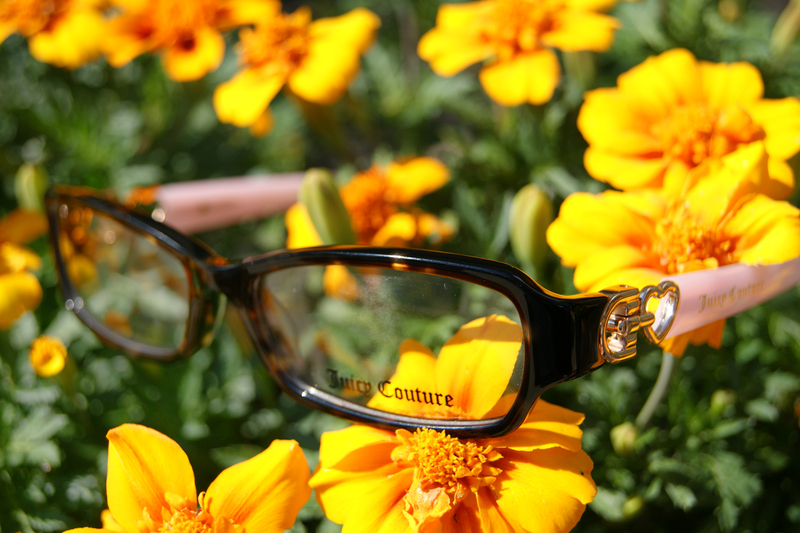 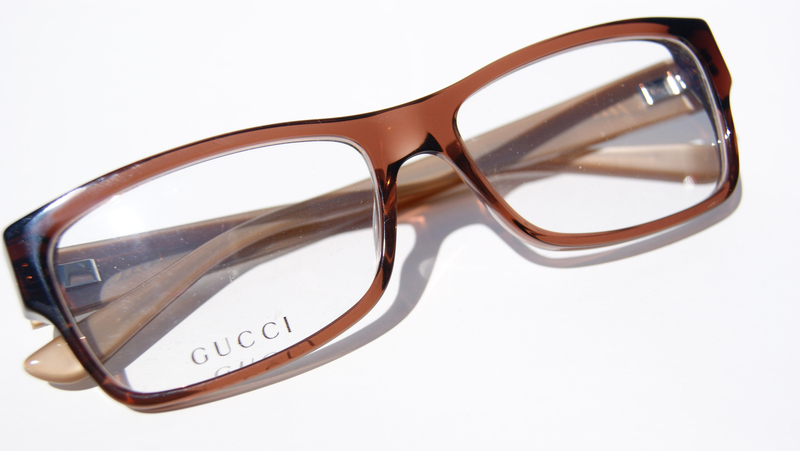 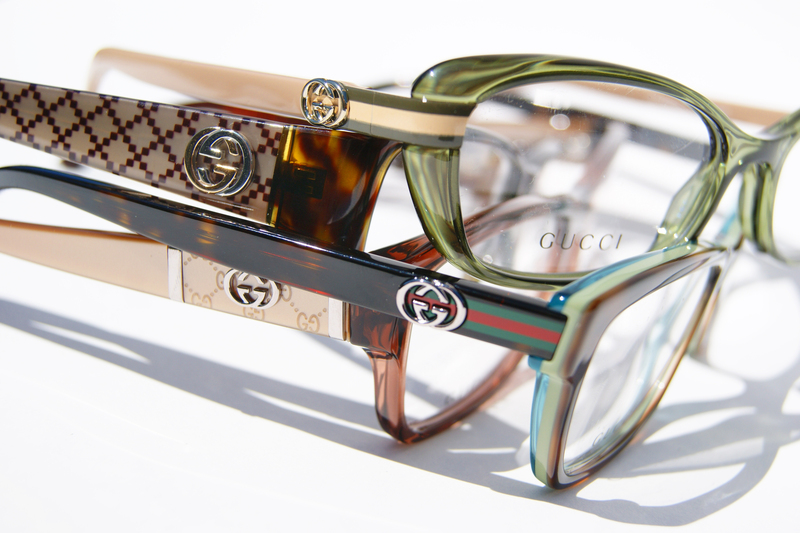 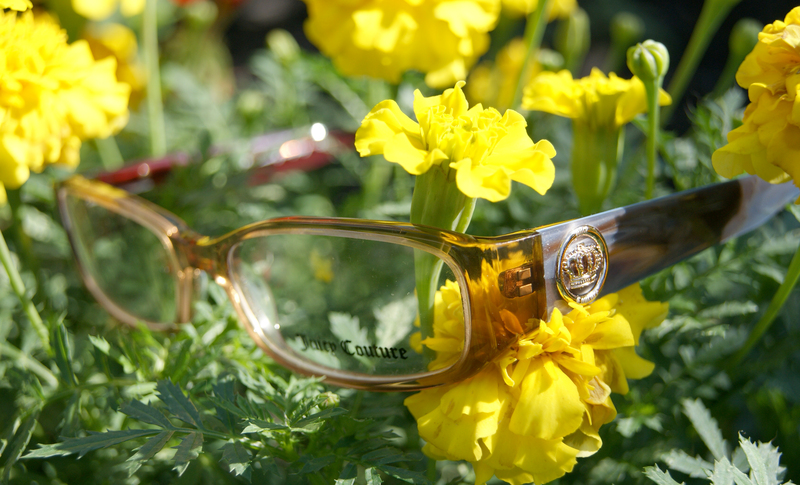 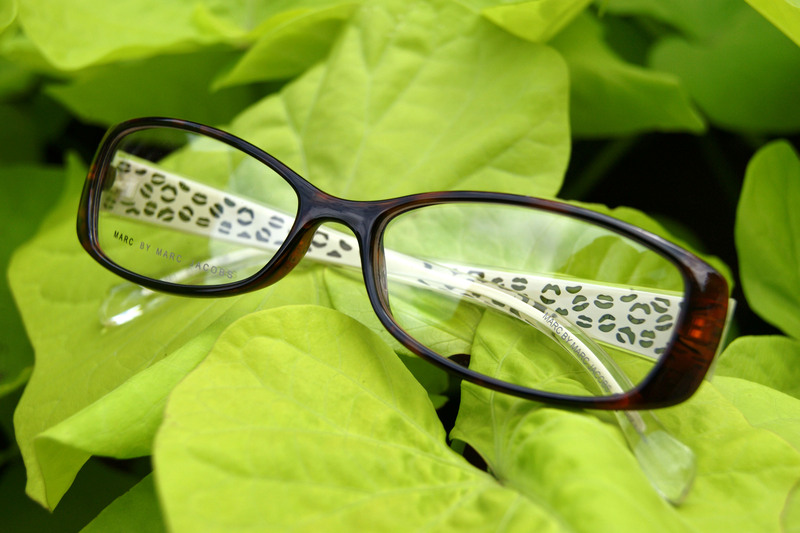 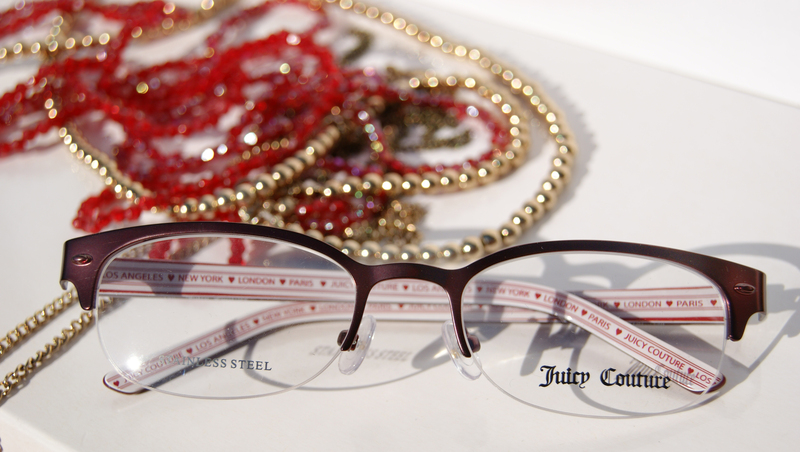 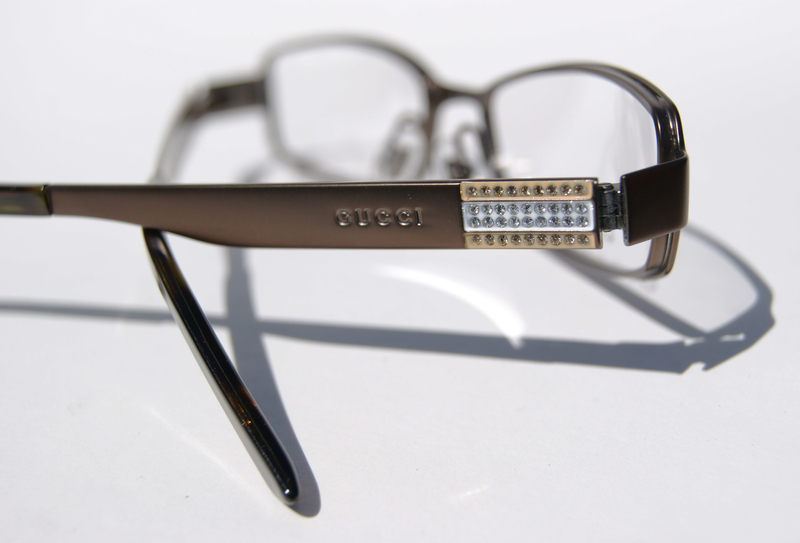 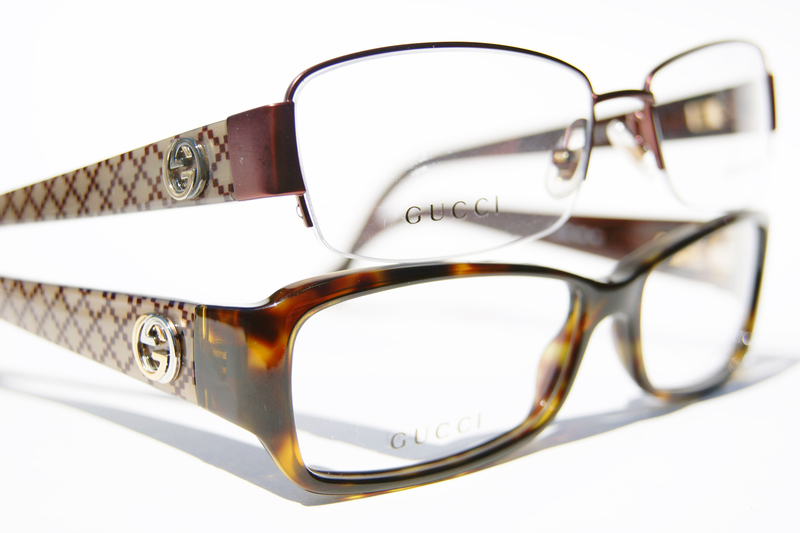 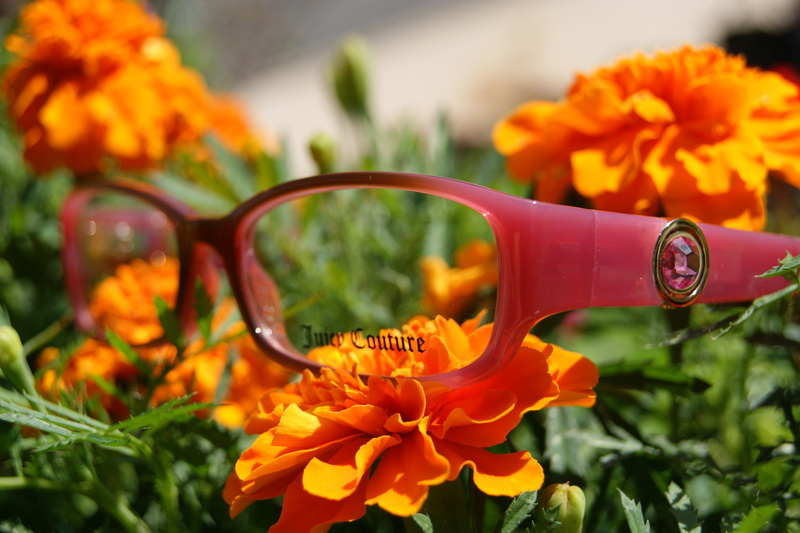 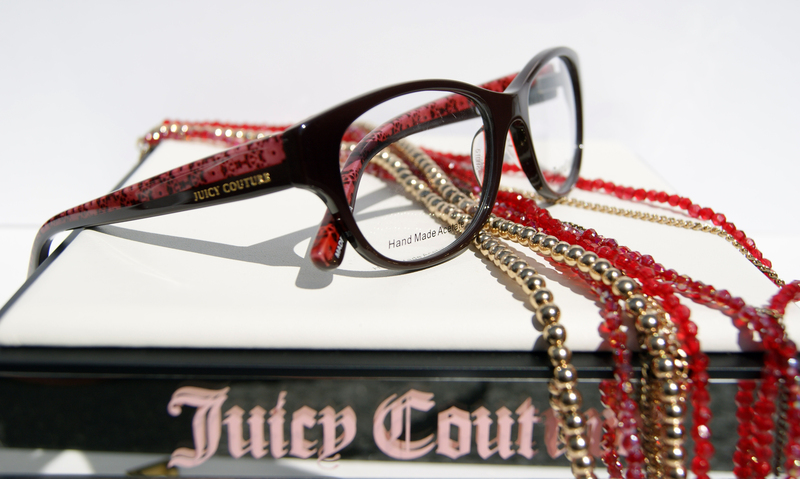 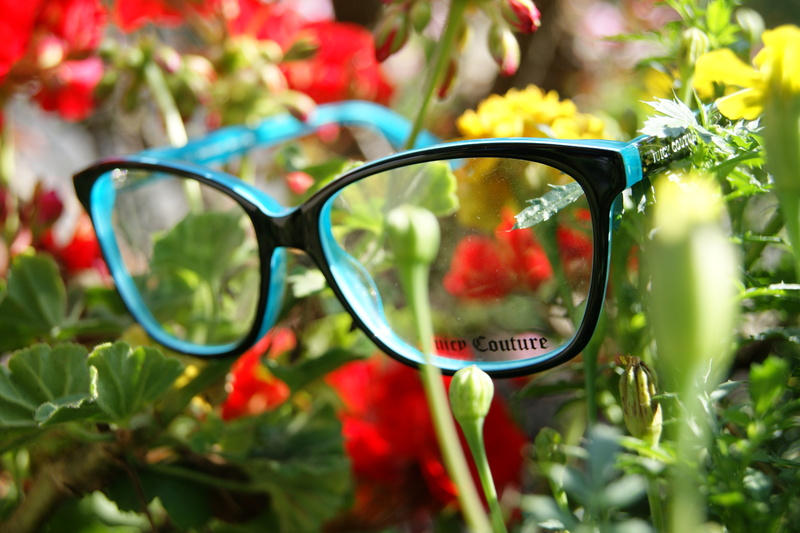 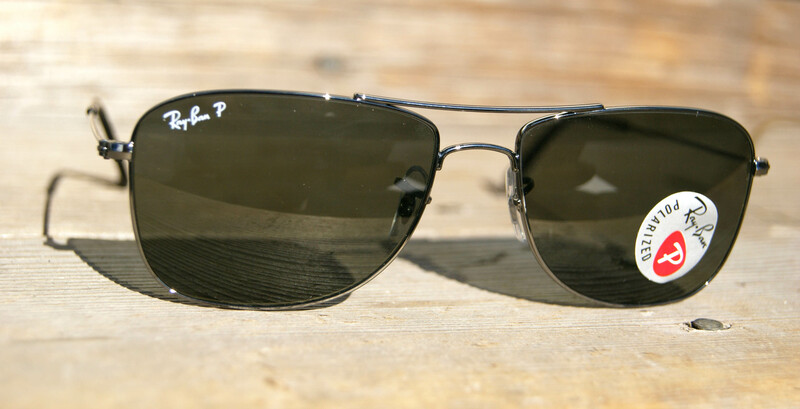 Juicy Couture eyewear is unquestionably our best selling frames of 2011. 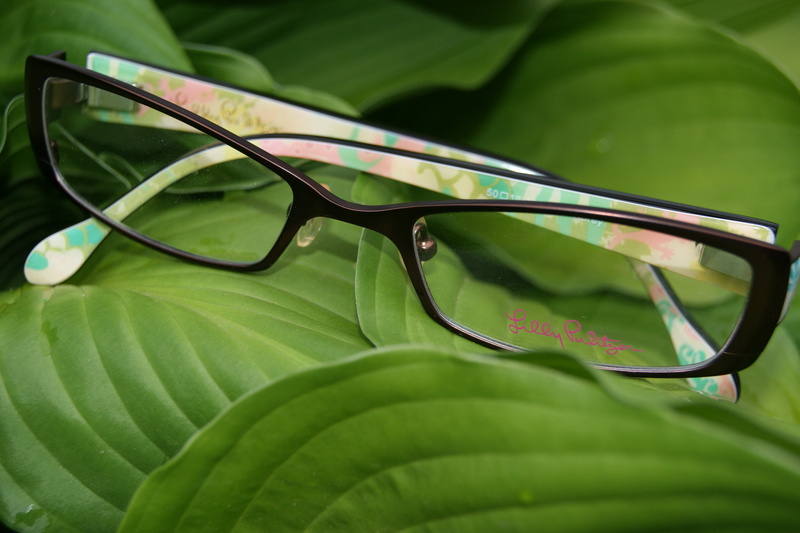 With varied shapes and styles, the brand continues to transform its look without compromising its trademark feminine design. 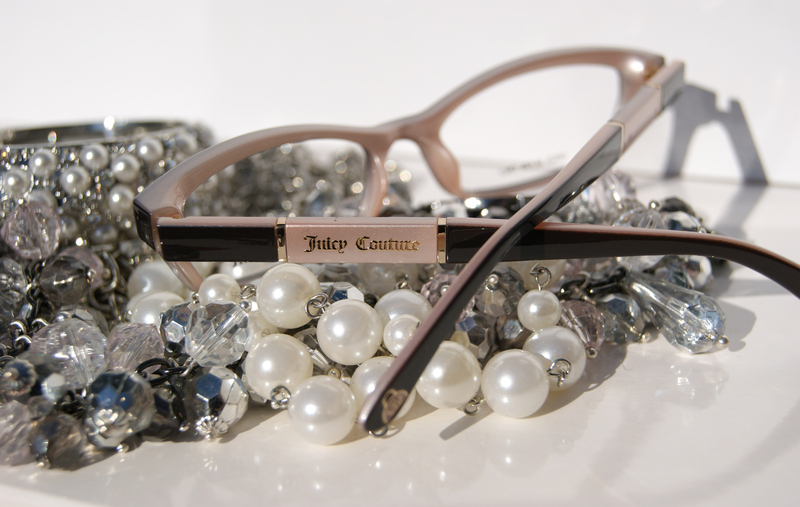 Undoubtedly there is a frame shape and style for every face, and something else interesting is Juicy’s ability to transcend age. 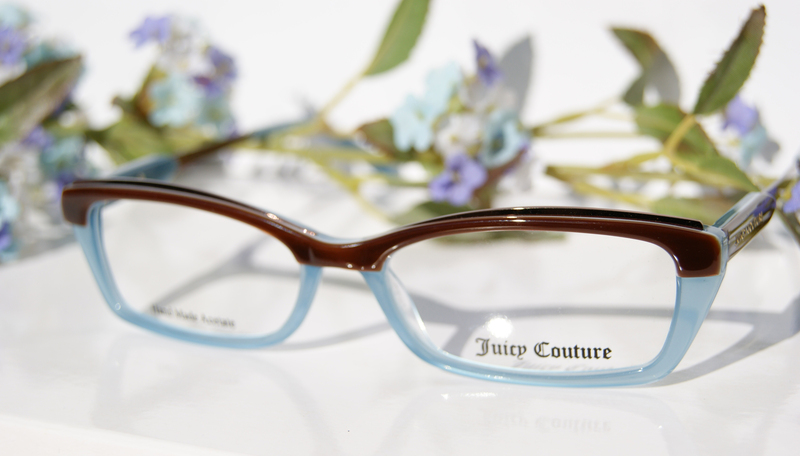 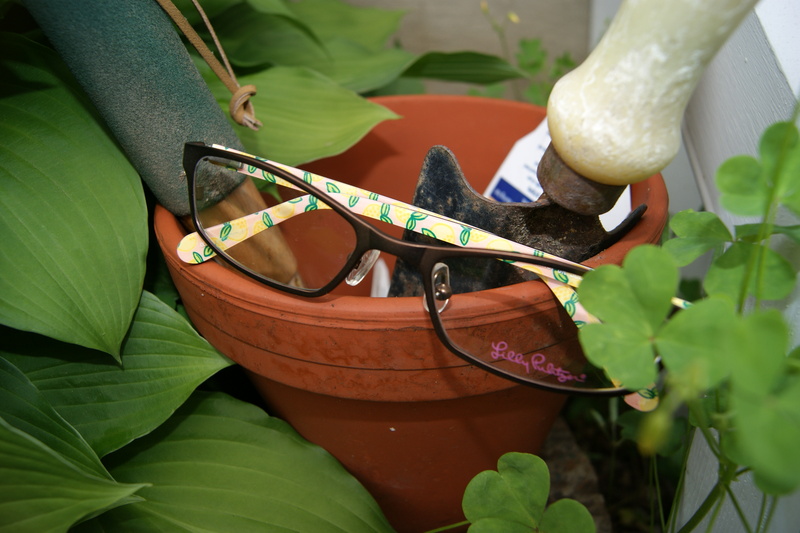 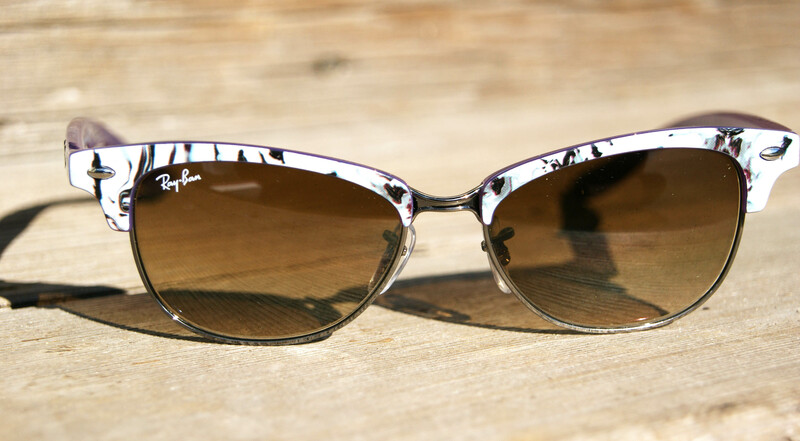 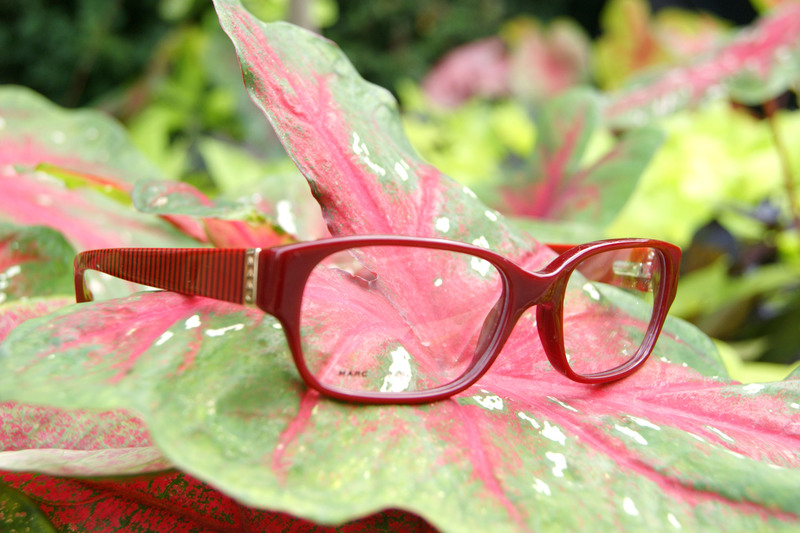 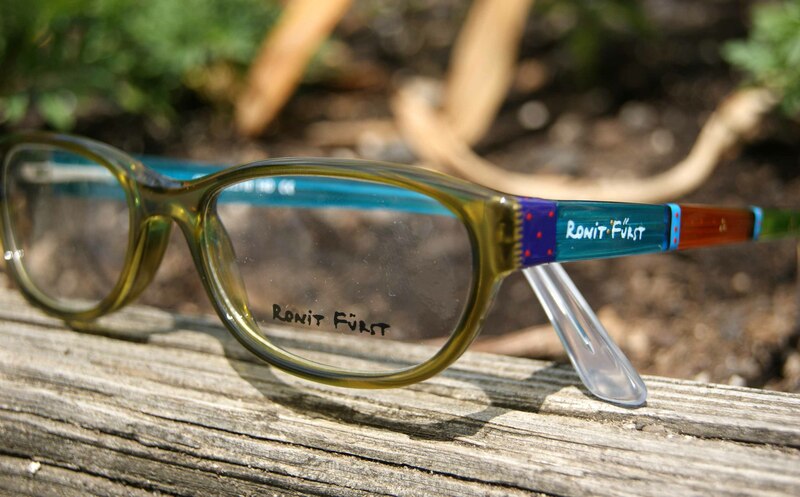 We have seen women from ages 16 to 64 find a flattering frame from Juicy. 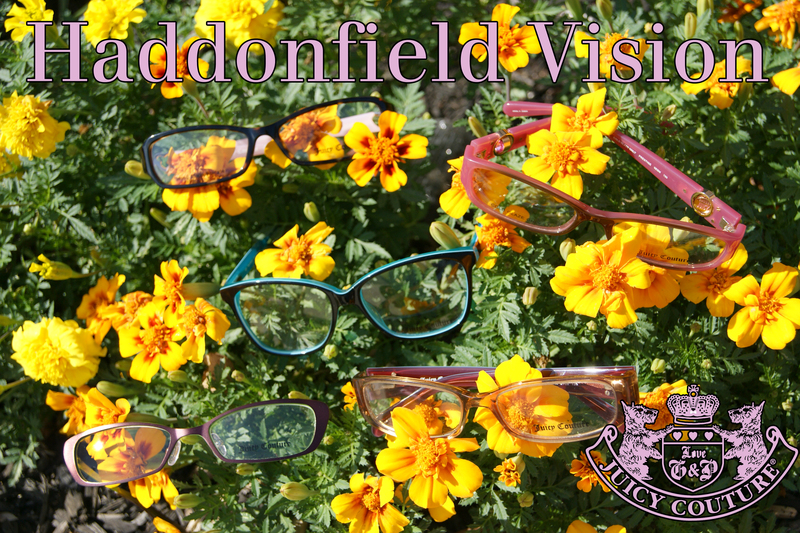 Preview below a few frames in stock now at Haddonfield Vision, but be advised this is only about half of our collection. 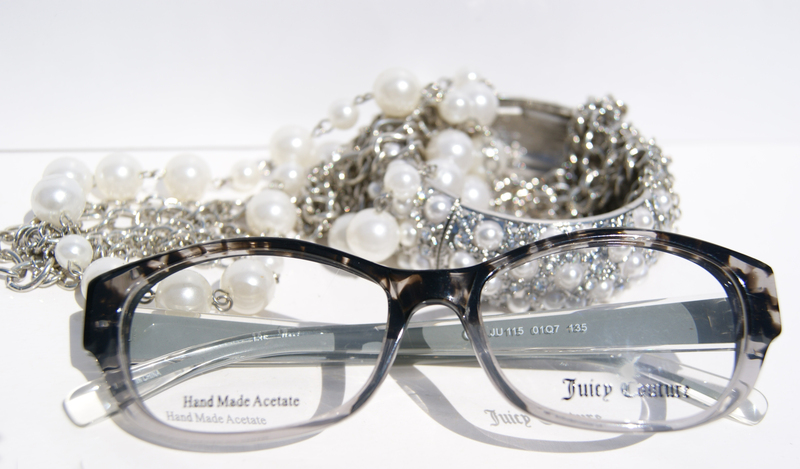 Be sure to check out our full selection in store, and remember to stop in soon as Juicy has our biggest turn around! 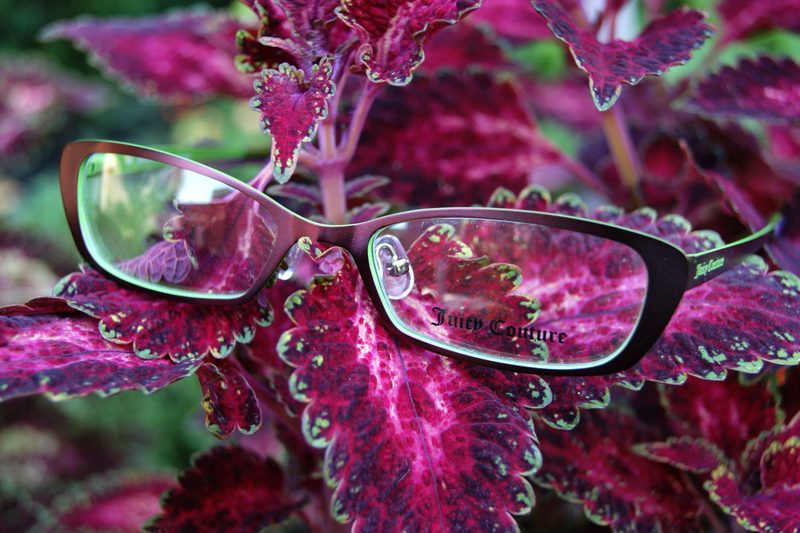 Special thanks to the First Baptist Church of Haddonfield for letting us shoot in their fantastic garden. 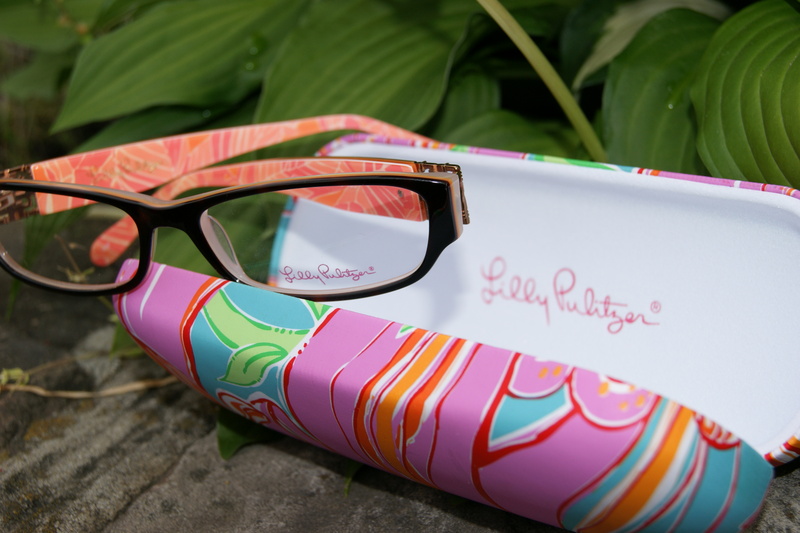 Lilly Pulitzer is one of the most recognizable springtime essential brands. 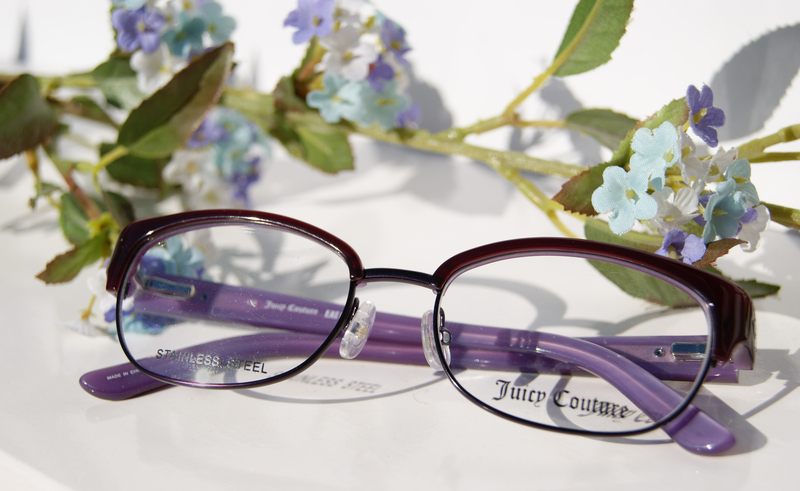 With their signature pastel color palette paired with their innovative designs, this season’s Pulitzer arrivals are a must have!